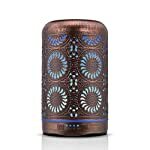 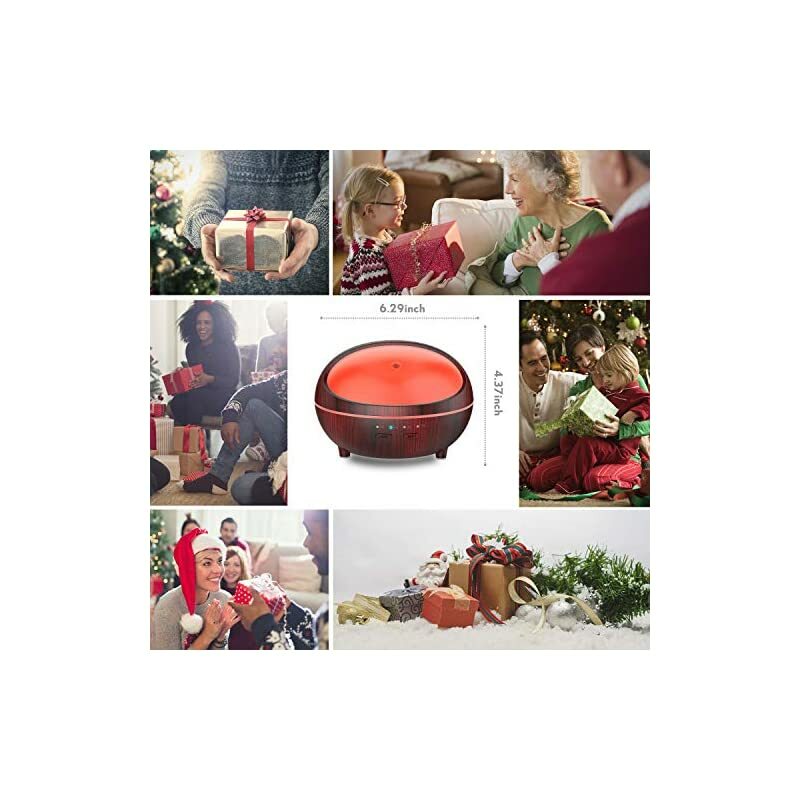 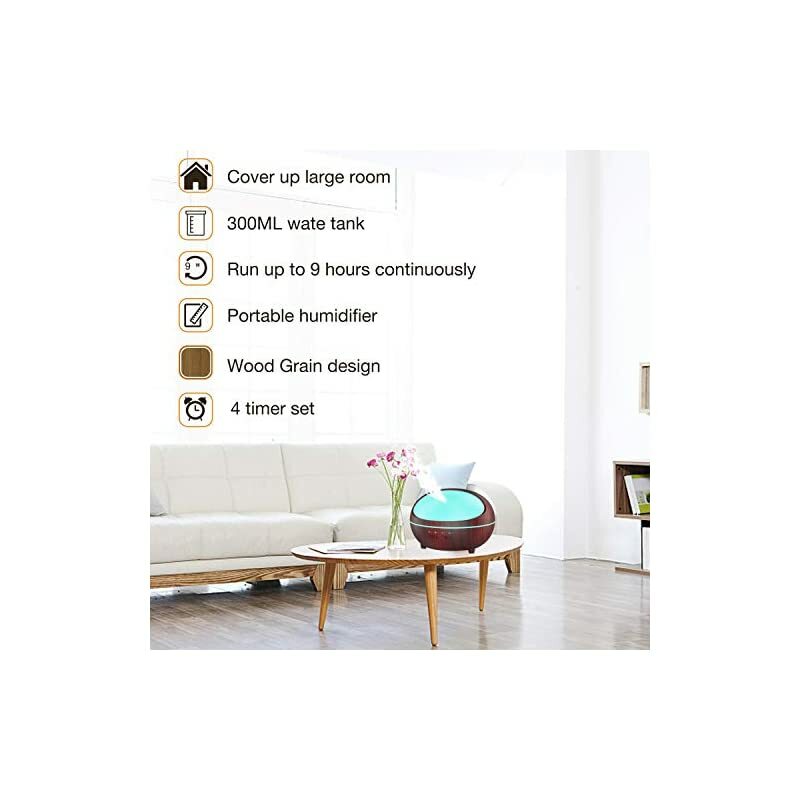 【Large Capacity with 4 Time Setting】Erligpowht Essentail Oil Diffuser has large capacity of 300ml, keep humidifying for 6 hours continuously. 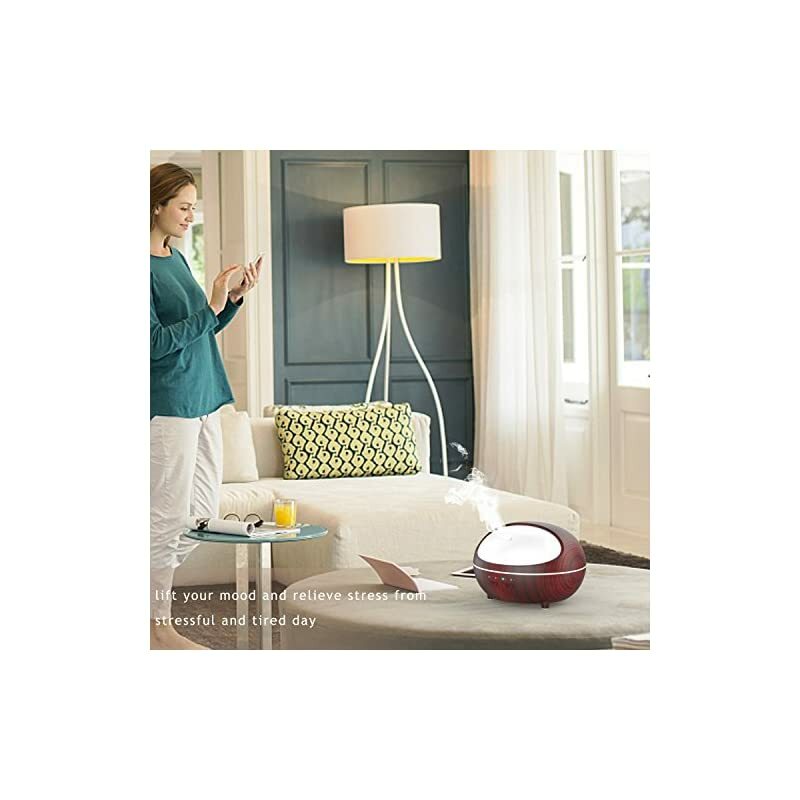 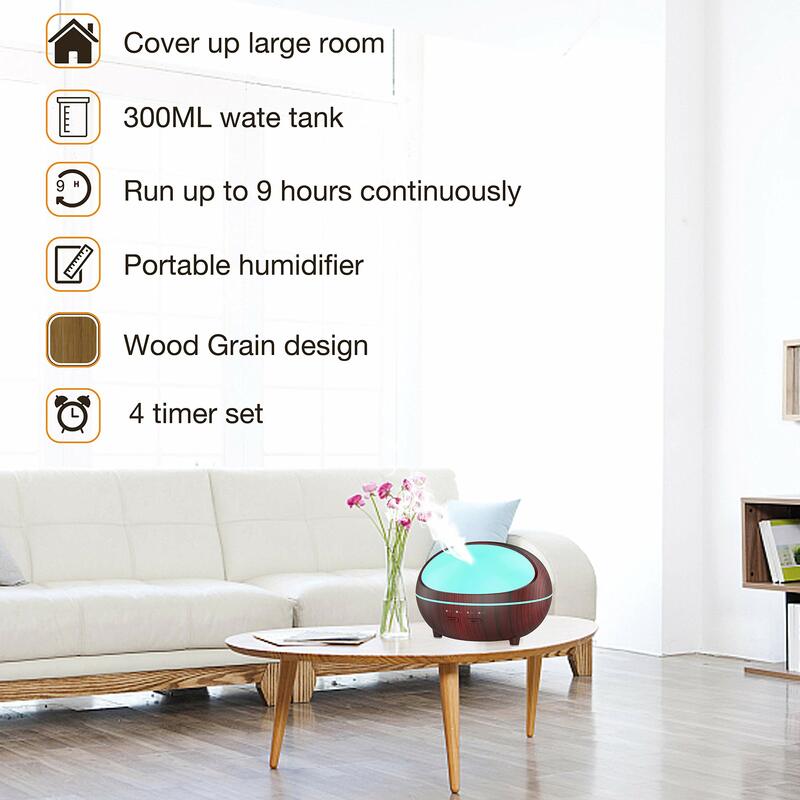 Plus 4 timer setting-2H / 4H / 6H / ON , you could set its working hours before sleep,no worry any more. 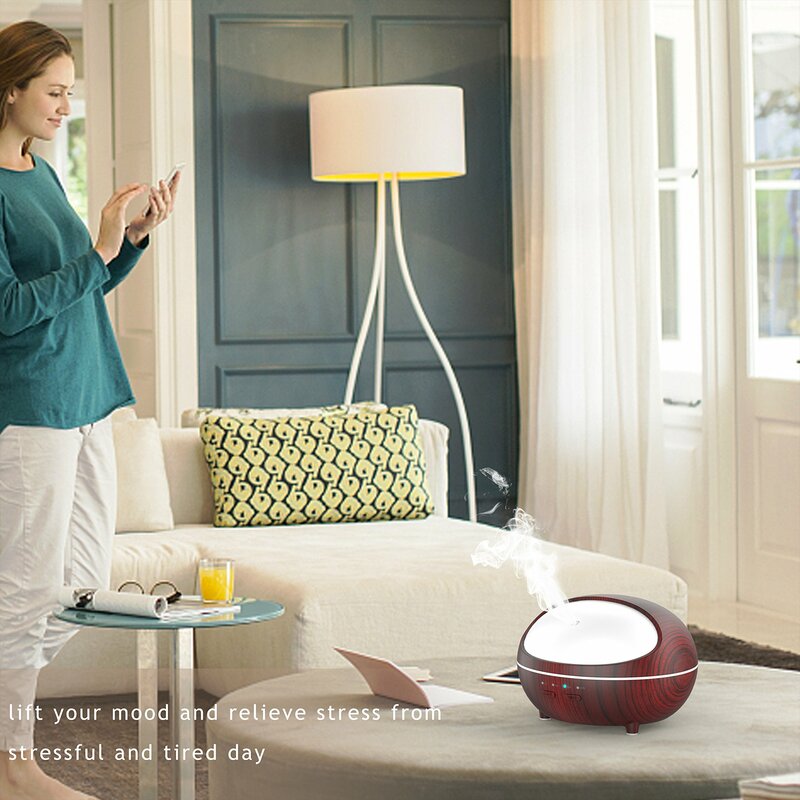 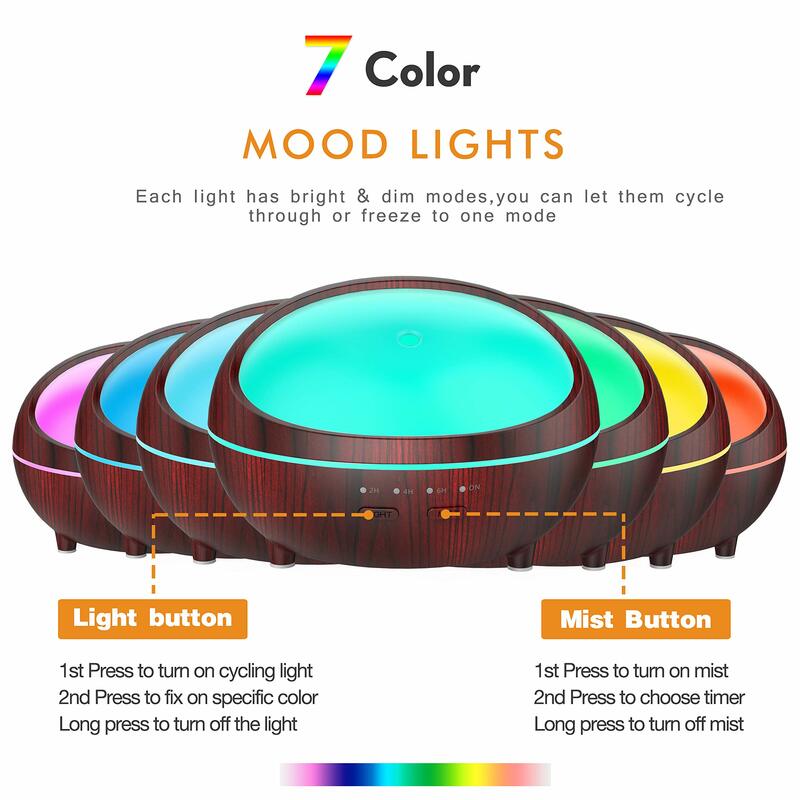 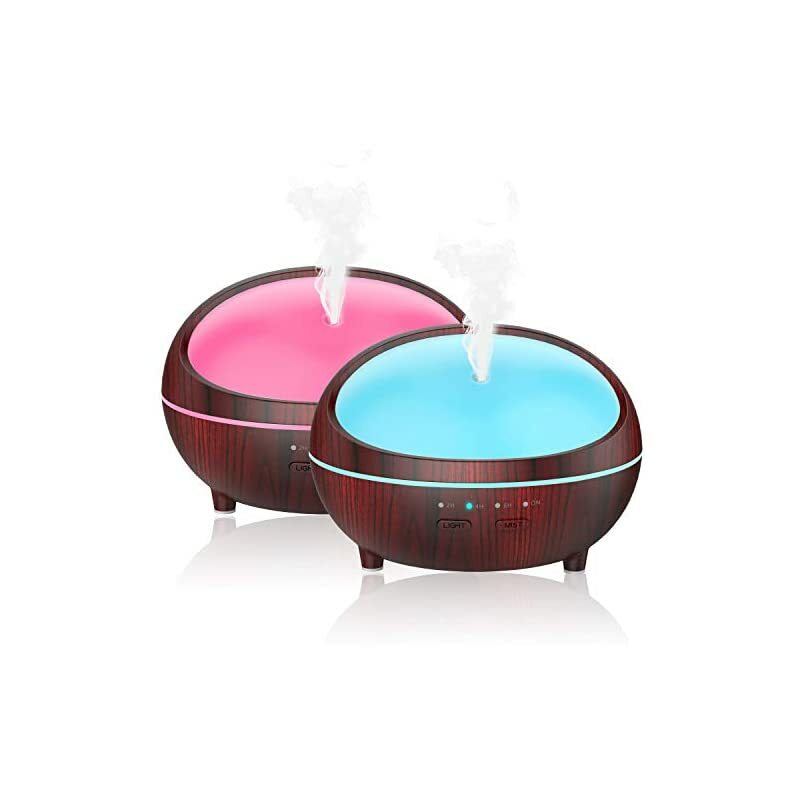 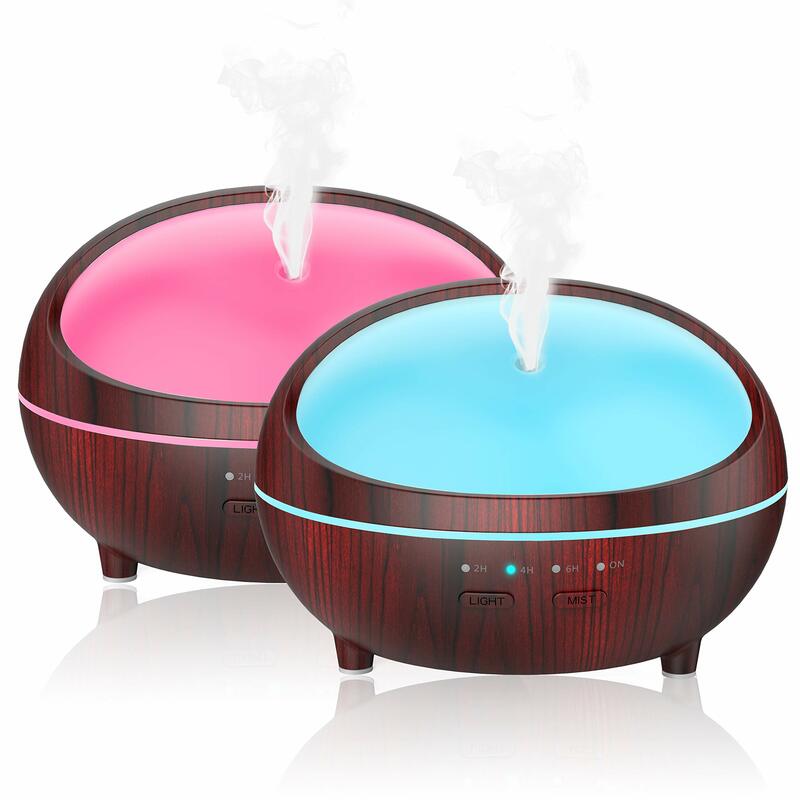 【7 Color Light Aromatherapy Diffuser】Spark Your Kid’s Imagination with 7 Changing Mood Lights Aromatherapy Diffuser. 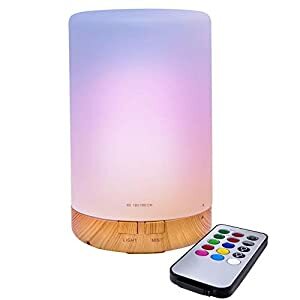 Great night light for young children scared of the dark at bedtime. 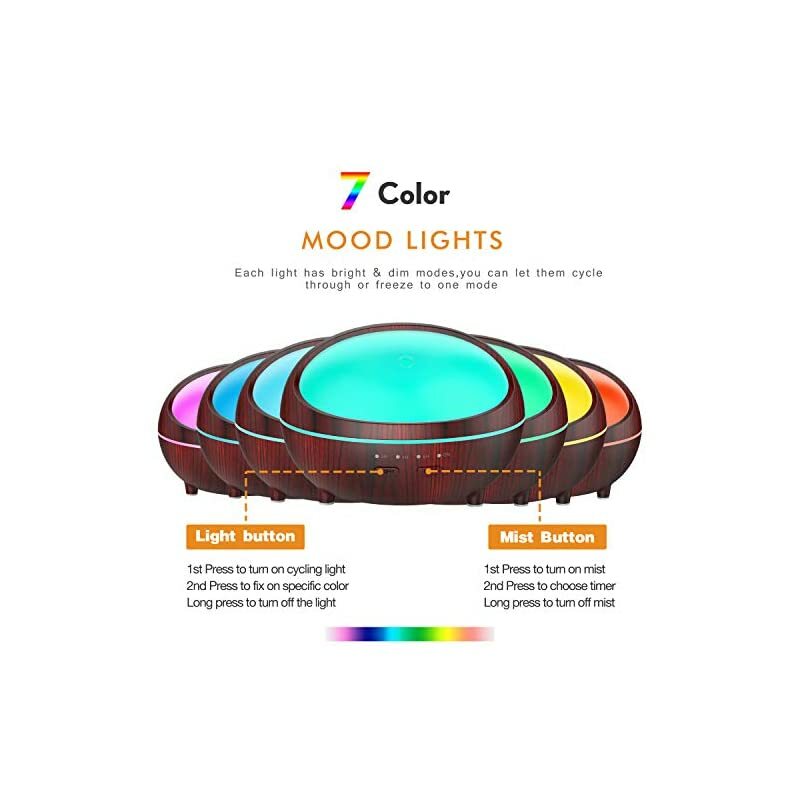 Color including: Green, Dark blue, Red, Yellow, Pink, Light blue, White. 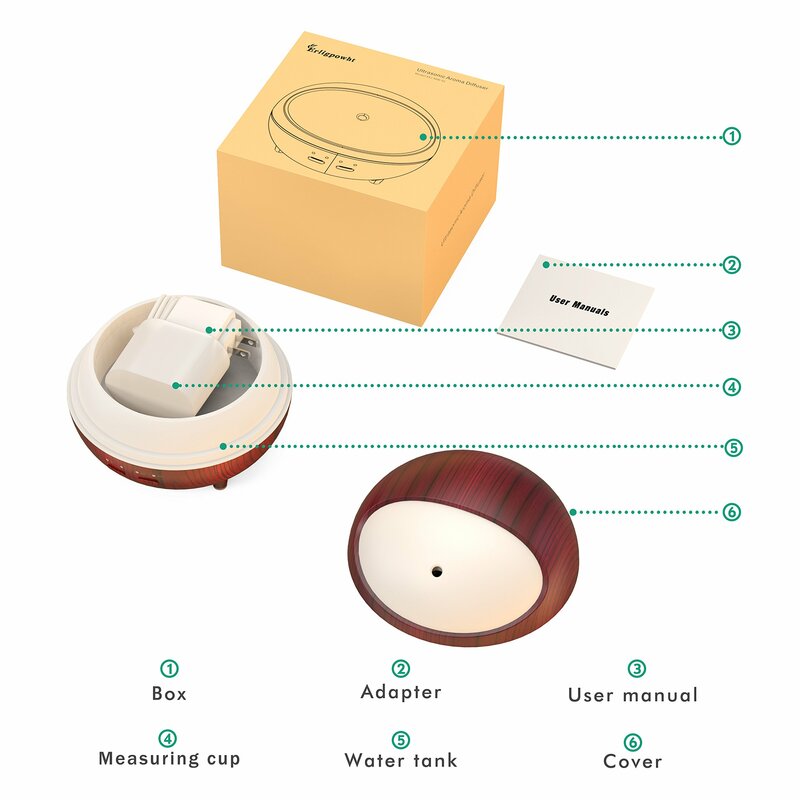 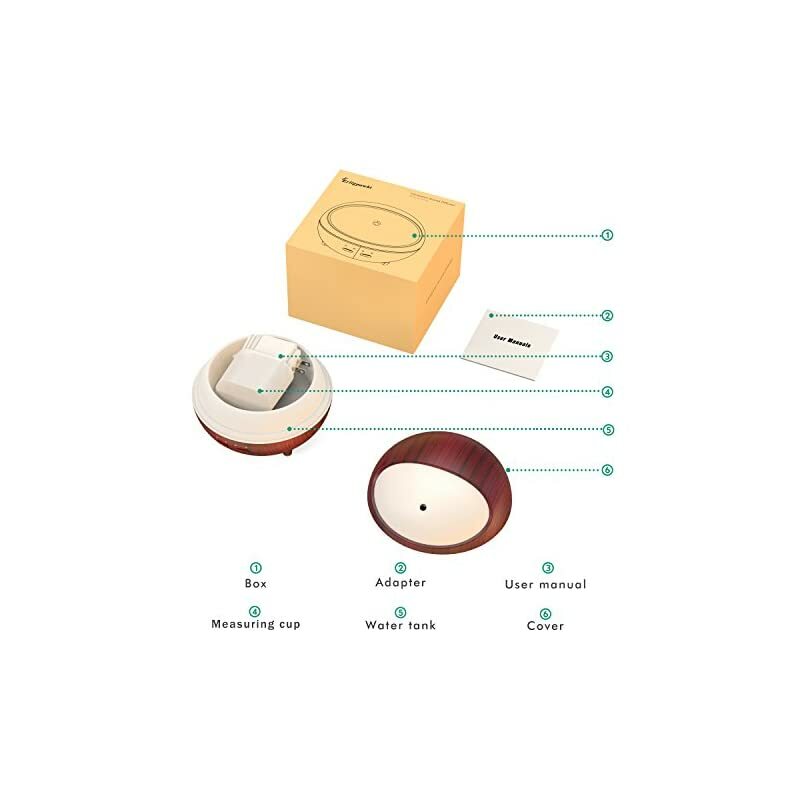 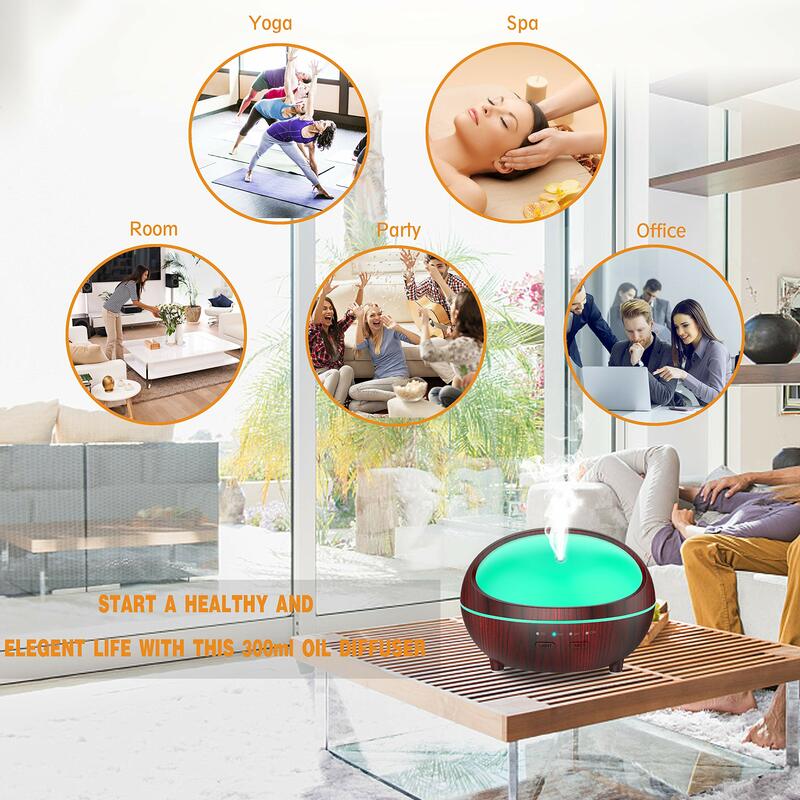 【Safety Auto-Switch Technology】This Essential Oil Diffuser will power off when the water runs out, prevents it from overheating in case it runs out of water. 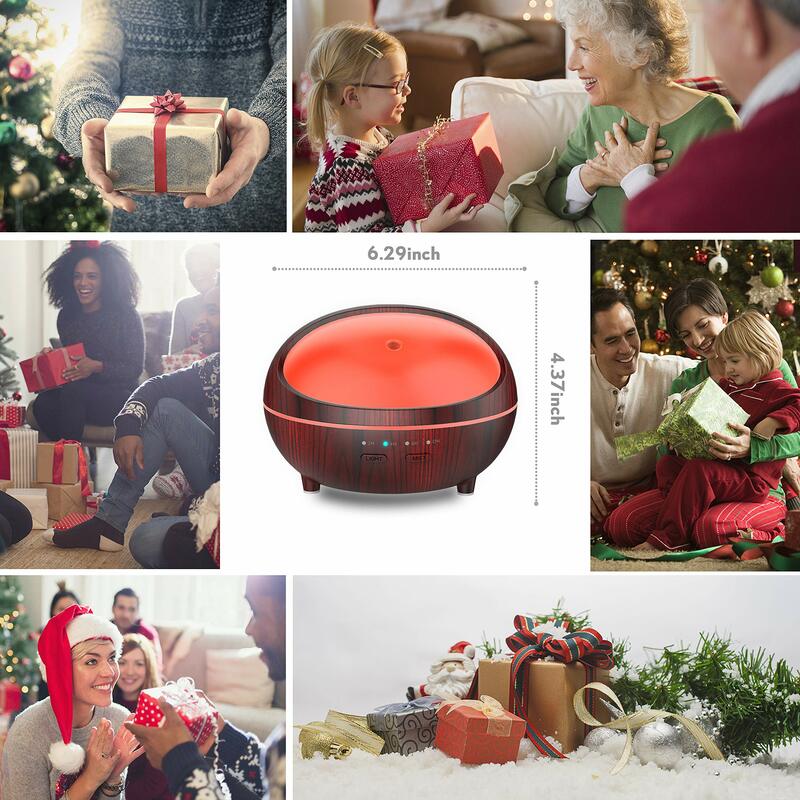 protect from burning out and ensure safety. 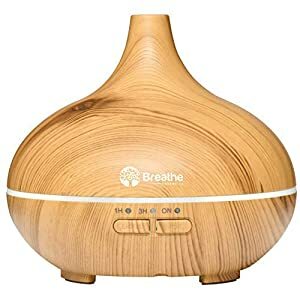 Portable for Home, Yoga, Office, Spa, Bedroom, Baby Room. 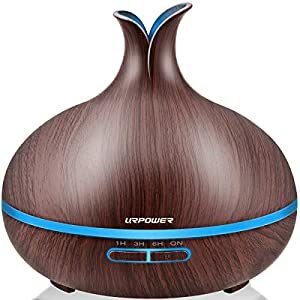 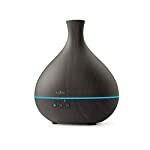 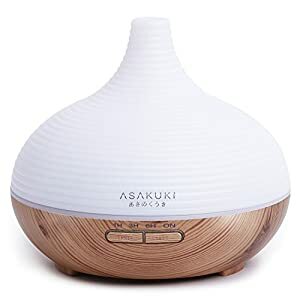 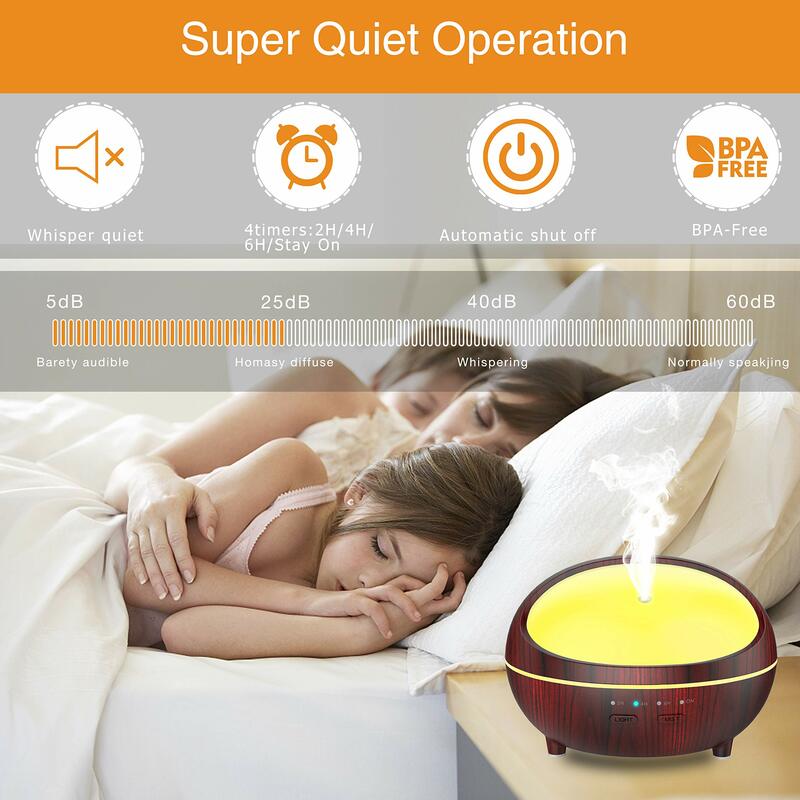 【Unique Wood Grain Oil Diffuser】- With the wood grain look and unique shape provide a calming, relaxing and security environment with Waterless Auto Shut-Off Function.